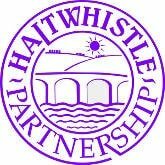 Since the Haltwhistle Partnership was formed in 1993 it has supported and initiated a wealth of projects Many of these have been in partnership with others and have has resulted in bringing much investment into the town. The projects have touched every part of life from the very young to the elderly, from the replacement of shop fronts to the restoration of the Haltwhistle Burn. They have included activities as diverse as walking, cycling, playing, gardening, studying, learning skills, training, employment, art, music, healthy living, volunteering, history and tourism. Well you can be assured that the trustees will be moving with the times and also heading towards being a sustainable organisation to continue to benefit the town of Haltwhistle for many years to come. Thank you for taking the interest to print out this information from the Haltwhistle Partnership Web Site. In line with our recycling policy please recycle this printout when you are finished with it. Many thanks.